I would like to share with you my interview with perfumer Antonio Gardoni. He designed our next Zoologist perfume, Tyrannosaurus Rex (to be released in fall 2018). If you are a fan of his works, please check it out! Thank you. Excellent Victor. I’m REALLY enjoying my T-Rex sample. It’s a winner! Holy smokes! A T-Rex by Antonio Gardoni no less! Finally a Zoologist that speaks to the geek within. I need to get my nose on this!! What a triple threat: Gardoni, Zoologist and Dinosaur. Can't wait to see the packaging artwork, hope it's a T.Rex in a dinner suit. So cool. I will definitely blind-buy this, and I never do that. Gardoni's work is spectacular - Still got a decant of Aeon 001 around here, somewhere. Need to find it and wear it again. How fascinating, the bit about him originally wanting T-Rex to smell of plastic toys. I really liked the smell of those kenner Jurassic Park toys from the 90's, and have wondered if anyone has thought of, or actually created a fragrance similar to it. Awesome news; this is a release I'm genuinely interested to smell. All that talk of earth has me wondering if Antonio was inspired by Bat's geosmin overdose. I love the retro comic-book-esque art direction of that promo ad. Well done! Well, this is certainly a surprise and very interesting. 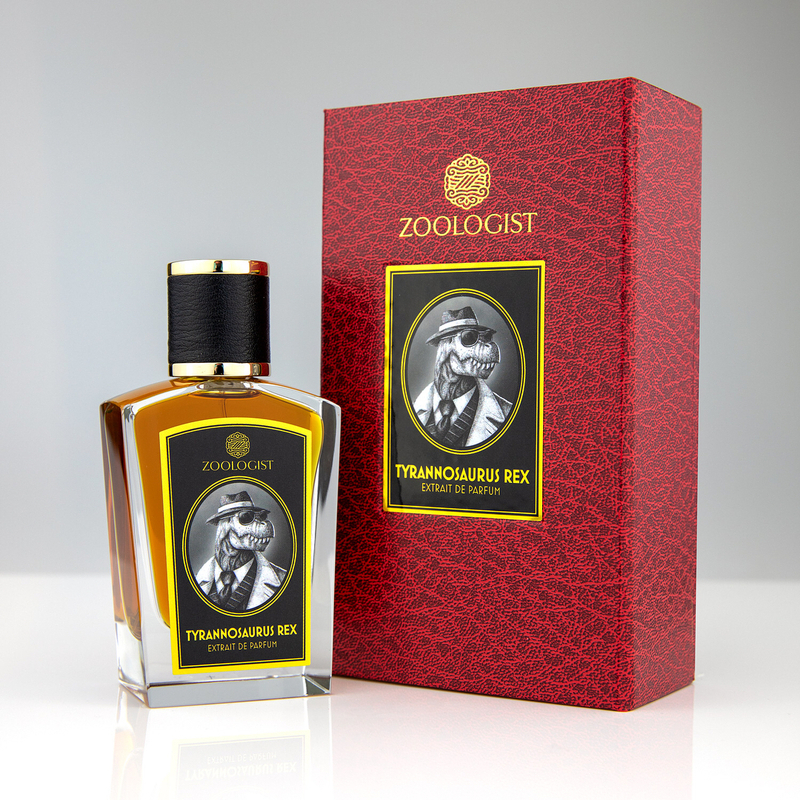 Zoologist is always interesting and I'll definitely be sampling this when it comes out. I like most of them but the only full bottle I own is Rhinoceros (which I have found I rarely wear), although Camel and Civet are tempting me. It's about time we had a T-Rex fragrance. I think I've been very patient. Edit: I wonder what resins are in the scent? Going by the note list, Styrax seems like it would be a good fit, though, I know its' use has been restricted to the point of absurdity in recent years. I smelled it at Twisted Lily last week. I liked it! So how’s the bottle art? A purple dinosaur?? I tried this after a couple of glasses of champagne so fuzzy on this. All I remember is that it was good and reminded me a classic vintage ( again do not remember which one). Hmm .. not a very useful post. I love the artwork, especially the one with shades on. If it truly smells like a ‘classic vintage’ as epapsiou claimed I WILL be all over it. I placed my pre-order this morning at 5AM through LuckyScent. I can't wait to get my mitts on it! Thanks so very much, Victor! Is it only available on Luckyscents? no, it's not a luckyscent exclusive. Will it be available in travel size? Can’t wait to get my hands on it!